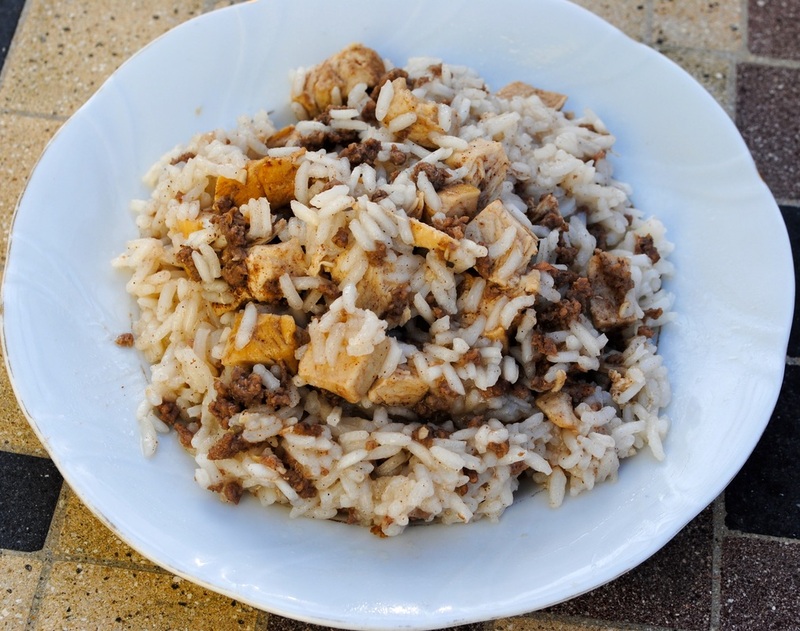 Riz ala’ dajaj (pronounced da-jej) is a delicious Lebanese rice dish traditionally cooked for special occasions. It is typically served as a side dish but can definitely be eaten as a main dish (it has chicken and beef in it!). 3. Move the chicken to a plate. Remove the cinnamon stick and onion. Save broth and put it aside.